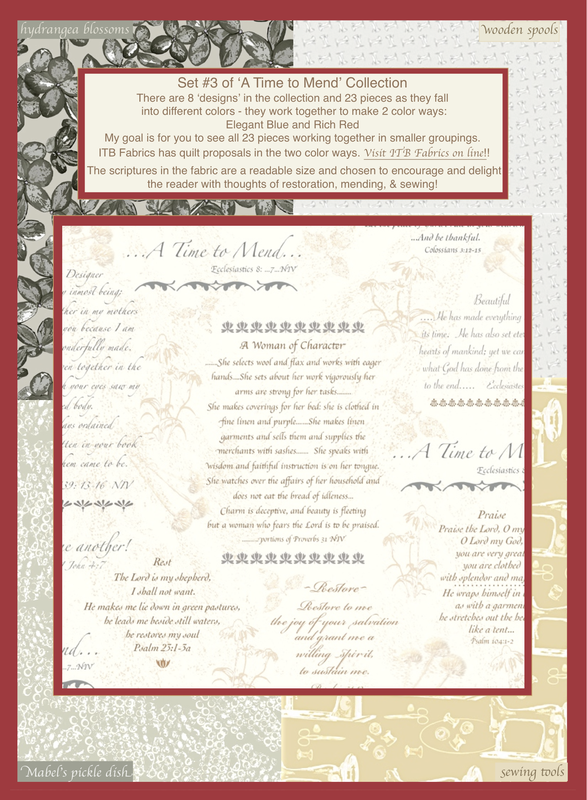 Psalm 23 – Petals Fair is about fabric designing, quilting, Christian faith, family and other musings!! 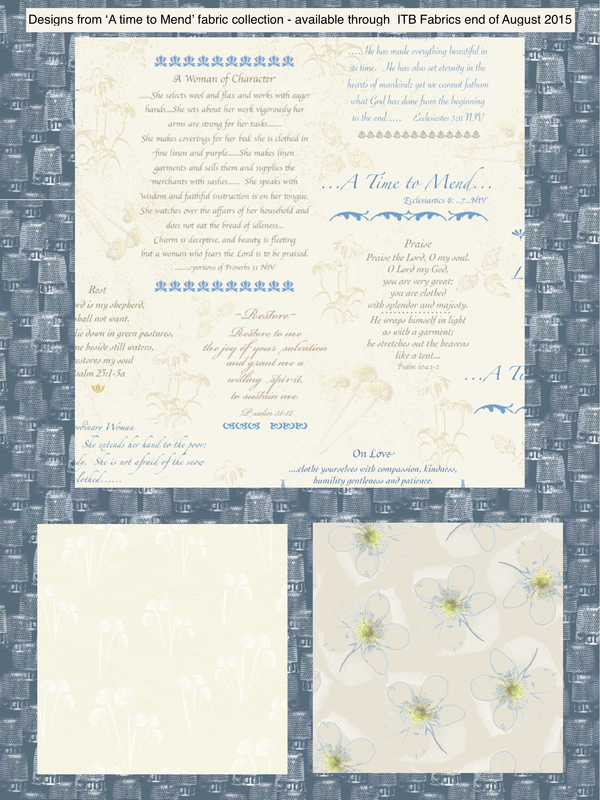 Format ImagePosted on January 1, 2016 January 3, 2016 Categories A Time to Mend, Blue Quilt, Christian Fabric, Faith fabric, Family Quilt, New Fabric Collection, New Years Greeting, Proverbs 31, Psalm 23, Quilting, Red or Blue fabrics, ScriptureTags Blue QuiltLeave a comment on Happy New Year 2016!! My 3 yard samples of each piece in A Time To Mend collection arrived! So far I have just arranged and rearranged the pieces totally enjoying their feel and colors! Thank you In The Beginning Fabric – Jason Yenter for choosing to print these designs setting the colors and sizings so beautifully! 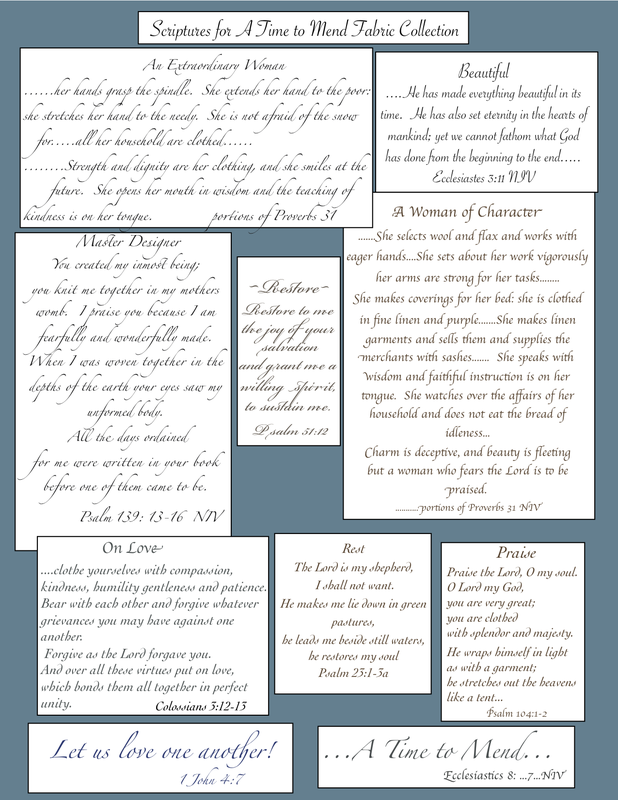 Format ImagePosted on October 15, 2015 Categories A Time to Mend, Christian Fabric, Faith fabric, In The Beginning Fabrics, New Fabric Collection, Proverbs 31, Psalm 23, Quilting, Red or Blue fabrics, ScriptureTags A Time to Mend, Bible Verses on Fabric, blue fabric, Christian Fabric, Chrysanthemum seed heads, Faith Fabric, Hope, Marsala - pantone color of 2015, mending relationships, Proverbs 31, Proverbs 31 fabric, Psalm 23, Psalm 23 on Fabric, Quilting Cotton Designs, Script fabric, Scripture, Scripture on Fabric, sewing theme, Time to mend, wooden thread spools, Writing on FabricLeave a comment on Fabric Arrival!! 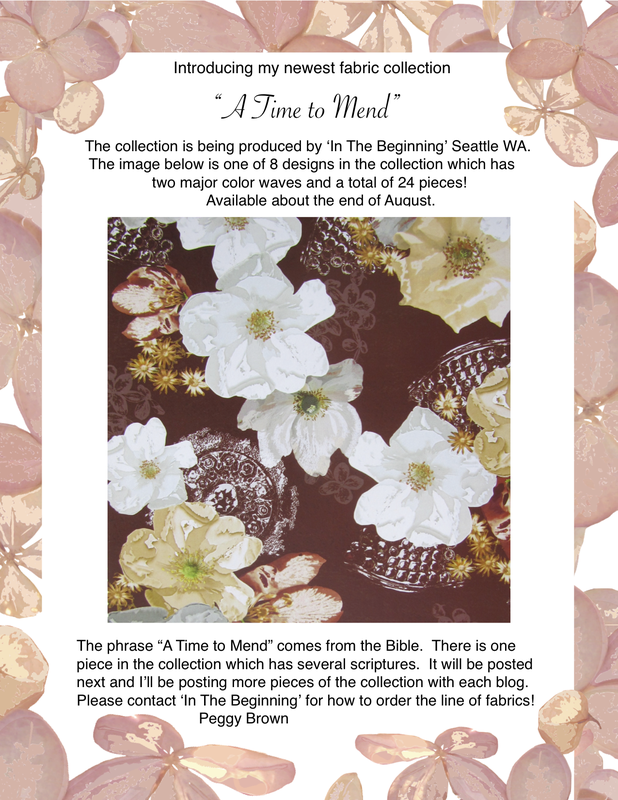 These are 5 more pieces from a Time to Mend – more to come! !